Lean & Six Sigma training is designed to better prepare people to apply a variety of problem solving and performance improvement tools and to more rapidly identify and implement Lean and Six Sigma projects, providing value to Sanmina and our customers. Training materials and exams are common across the company and are shared by all authorized instructors. All higher training levels include any lower level training levels. 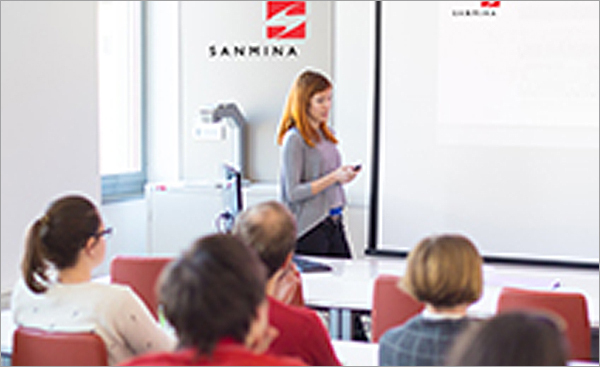 White Belt – a single training module providing a short overview of the Lean & Six Sigma program at Sanmina. Yellow Belt – 10 training modules covering basic Lean and simple problem solving tools. Blue Belt (Lean Specialist) – 10 training modules covering additional Lean tools. Green Belt – 10 training modules covering simple quantitative (statistical) methods. Black Belt – 16 training modules covering more advanced statistical theory and tools. As of 2014, we have over 20,000 White Belts, 3,000 Yellow Belts, 3,000 Blue Belts (Lean Specialists), 2,700 Green Belts and 200 Black Belts across all Sanmina facilities.